Being a parent leaves you with many responsibilities. You have to be the tough guy and show discipline from time to time, and then you also have to be the fun one and come up with unique and silly activities that keep your child active and engaged. One activity that may be fun for both of you is cooking together! Cooking together with your child can be rewarding on so many levels. It is an activity that is personal and you can complete with just the two of you; it is educational because they will be learning science and mathematics, yet it is also enjoyable and special. Foundations For Learning in South Windsor wants to let you know about an exciting opportunity with our local grocery store, Stew Leonard’s! This amazing store hosts cooking classes for children of all ages a few times a month. Your children will be able to make messes and have an amazing time while learning about science and more! Each class is unique and different; come check all that Stew Leonard’s has to offer and learn other great reasons to cook with your child in South Windsor! Learn About Our Child Care! If you are baking with your child, there is plenty of science involved, including measuring and combining certain ingredients together to form reactions. They can ask questions about why cookies need baking powder and why you have to bake at certain temperatures. This keeps your child curious and interested in the activity. When it comes to cooking, there is some math involved. This can help your child understand math skills in a different setting outside of our child care in South Windsor. Your child may see things like fractions, or measuring certain items by their weight, and how some ingredients are different because they are wet or dry. This can make the idea of mathematics fun and enjoyable! Time management is imperative because cooking is a very time-based activity no matter what you are preparing. Certain foods have to cook for longer to ensure their safety. You can a play game using the timer and let them know why your use this when you are baking or cooking. Let them know how important the concept of time is and how delicious your treat will be when it’s done. Letting your child read you the recipe out loud is another great way to implement reading practice into their everyday activities. They may be able to experience words they have not seen before, which will open them up to new reading opportunities. 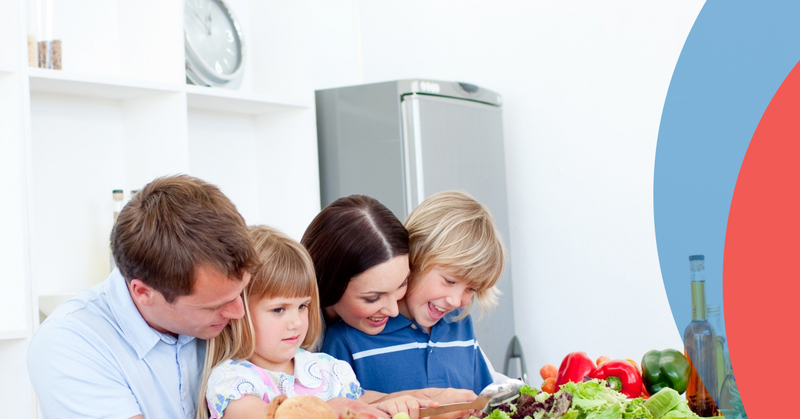 You can teach your child all the benefits of nutritious food and why it is so important for their tiny growing bodies. They will be excited to eat the food you have made together, and to try new things, if you are preparing it together. This is a great way to start to incorporate different foods into their diet without as much resistance. Come check out the amazing classes at Stew Leonard’s in Newington. These classes will help build your child’s confidence and get them learning even more. Our child care center is always looking for new and innovative ways to teach and have fun with your children. Contact us for any questions and we hope you attend cooking classes at this amazing grocer! 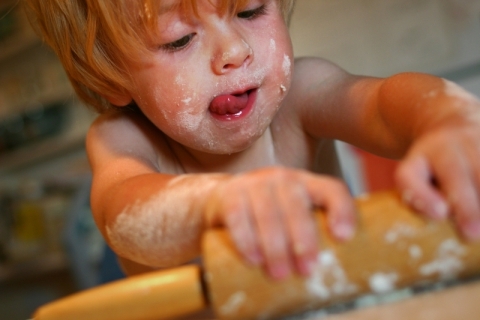 Check back for our next blog about more wonderful reasons to cook with your child!